I've attempted to finish this draft post many times in the last 1 1/2 weeks but life gets in the way and a post with no less than 4 portable DVD players gets pretty long. It was easier to close out and ignore it. But this morning is it! 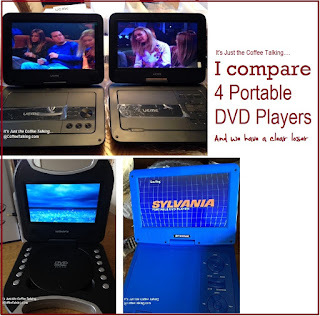 I am sipping a fresh cup of strong, hot coffee and I'm ready to post all these photos and tell people what I found when researching affordable portable DVD players. This is when I decided to look into portable DVD players. The last time I bought a portable DVD player was years and years ago. Back when they were a 'new thing'. They were heavy and made of metal and quite sturdy and well built. Not so much anymore! First, I found they are quickly going the way of the dinosaur. With digital movies taking the lead, many brands have stopped making portable DVD players or only have one or two styles available. Second, the Chinese market for portable dvd players is huge. For brands I'd 'heard of' before, Sylvania was the front runner on still having options available, with RCA and Magnavox still in the game but Sony has all but gotten out of this market with only a couple options and from what I could tell, had discontinued those and only has 1 model left being sold. And plastic - whoa, the cheap plastic. Lightweight, cheap feeling and disposable. That's the feeling you get when picking up a portable DVD player now. I'm going to skip the babble because you all know how I can ramble. A portable DVD Player is a mobile, battery powered DVD player. They range in size from a tiny 7 inch screen on up to 14"+ like a laptop. Many of the more recent players being produced also play files from USB flash drives and SD cards as well as DVD's. While I thought I would buy one - I realized the Navy Seal motto of "two is one and one is none" might apply here. I might want two. Most all the portable DVD players on the market have sketchy reviews - either they don't work right out of the box, or they worked well. So many reviews gave the products a 1 or 2 stars or gave it a 5. Black and white. Little gray. I also realized that with hit-or-miss electrical power available to us during our trip, having 2 players might be nice not only as a backup for one not working, but if one battery dies, we'd have another option until we could charge them either in the car while driving to the next destination or if we had electrical power (which we almost never will on this trip). Lastly, I figured I'd try two different brands. But after researching I ended up purchasing 4. I'm going to skip the long drawn out thought process to that - but believe me, there was one. I was primarily researching at Amazon, Best Buy and Walmart although I also looked at about 6 or 7 other sites as well. I chose two with a larger 10" screen, one with a 9" screen and one that I'm hoping will be 'toddler friendly' with a 7" screen. During my research I could not find any difference between the UEME 1010 and 1020 other than the button style. Everything else seemed to be exactly the same. Finally, I just decided to order both. And guess what? Except for the button style they ARE exactly the same. EXACTLY. As a matter of fact, the paperwork is apparently the same for 4 of their models; 0091, 0093, 1010 and 1020. The two boxes side by side upon delivery. Taking them out of the box, I couldn't find any differences on the boxes - not even the model names. It's a general box for both models. Yep - completely alike. No model number or name mentioned on the boxes. Unboxing: Both exactly the same with the same remotes, cords and chargers. Packaged alike as well. Side by side, straight out of the box. No difference except the style of the buttons on the top for volume, play, stop, etc. The BUTTON STYLES are the only differences between the UEME 1010 and 1020 portable dvd players. Side by side out of the box and turned on after charging. The set-up and internal choices and options are exactly the same on both models. The difference in the intensity of the colors on the screens is slightly different even with both settings the same. That's it for differences though. Both played equally well, the images were great, start and stopping was no problem and the sound was surprisingly good. Here are close ups of both button styles. Both worked the same and equally well. Although lightweight and cheap 'feeling' compared to the portable DVD players of 'old', these performed well, had no lines in the screens, had good sound without having to use ear buds and have the added bonus of coming with not only all the accessories like the car charger and remotes, but also have a lightweight case to insert the player and attach it to the headrest of your vehicle for the backseat riders to watch during travel. I've noted the players that look exactly like these are sold under many different 'brand' names on Amazon from China. Like most of their goods (cell phone covers, clothing, etc.) they seem to make the exact same item and use the exact same photos but each seller brands it with their own brand. It looks as though these players are sold under many brand names on Amazon; I chose UEME because of the sheer number of items sold and reviews (I prefer 2000 reviews verses 1 review). Now for the 'toddler friendly' DVD player I chose. This one reminds me of the CD players my kids had when they were little. A boxy little gadget that plays one single disk, doesn't have a lot of bells and whistles, doesn't have a swivel screen or easily breakable parts. Close it up and it looks much like a waffle iron. I bought this one with a 3 year old and a 2 year old in mind to use. Basic and small, it actually looks much like a waffle maker when it's closed. Great for road trips, commutes, and flights, the Magnavox 7-Inch TFT Screen Portable DVD/CD Player (MTFT750) lets you enjoy your favorite movies and TV shows wherever you go. This portable media player features a convenient folding design and a 7-inch TFT color screen. The DVD/CD player is also compatible with CD-R, CD-RW, and JPEG discs, so you can watch movies or play albums, anywhere, anytime. Listen to music via the built-in stereo speakers using the 3.5mm headphone input, or connect the DVD/CD player to a TV or sound system with the AV out jack. The DVD/CD player can be easily controlled using the buttons on the base of the player or with the included remote control. The built-in rechargeable battery offers 2.5 hours of battery life and can be easily charged on the go using the included AC and car adapters. Pretty basic. I plugged it in to charge and lifted the DVD door to remove the protective paper. After charging I popped a kids DVD in to test it. Screen looked good and no lines or troubles straight out of the box. My thoughts on this one is that for an adult, it's a bit too loud when working. Meaning, it whooshes, clicks, whirs and hums. You wouldn't hear that if you are using earphones or ear buds but if you are using it in a car or on an airplane, your seatmate or the person next to you sure will hear it and probably not be too happy. 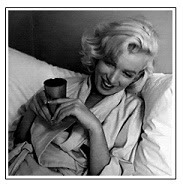 However when the volume up and no ear phones used, you start to listen to the movie and block out the background noise. Well, mostly anyway. It seemed to work just fine outside of being 'loud'. It only offers a 2 1/2 hour long battery life so it's the least powerful of the 4 dvd players I bought but again; for the toddlers it seems to be a good choice. But out of the 4 portable DVD players I bought, this was clear loser due to how loud all the internal works are. I would not want to be sitting next to someone using this with headphones because the whooshing and whirring doesn't stop when the movie gets playing. It stays fairly loud the whole time. The final dvd player is a Sylvania. These pretty much flood the market and are available in different colors. Mostly red, blue and black but also pink and purple and currently they have kids versions with cartoon covers as well. I really wanted a black one because the colored models looked cheap to me. However, Walmart had these $10 cheaper than Amazon but they did not have black available. They only had blue and red at the time I ordered so I chose blue and decided this would also most likely be a 'toddler' friendly DVD player for road trips and the blue suited the 3 1/2 year old just fine. 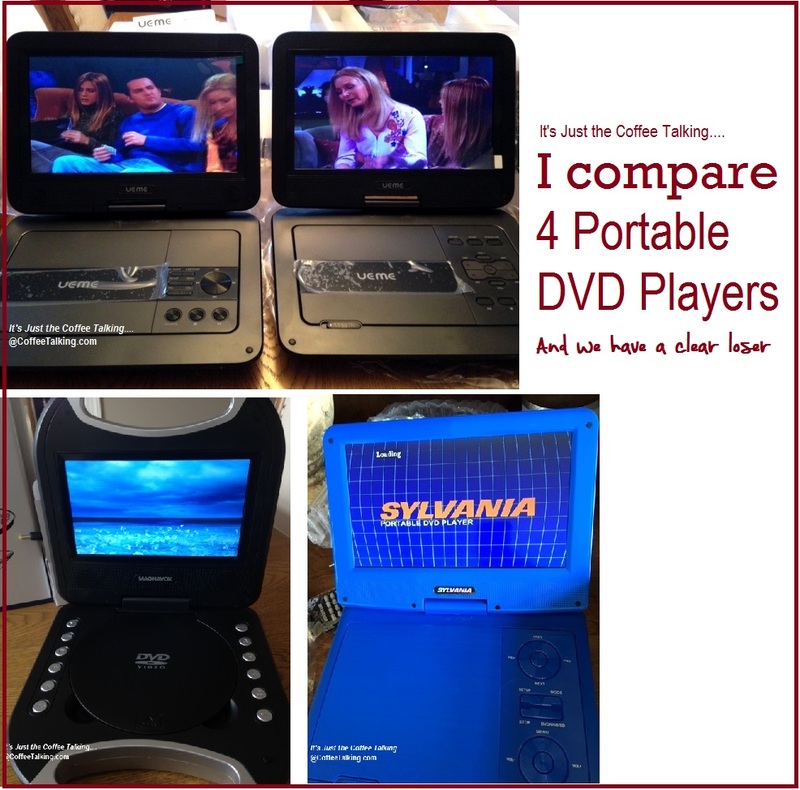 Watch all your favorite DVDs on the go with the SDVD9020, 9 Inch swivel screen portable DVD player from Sylvania. The SDVD9020 has a built in long life, 5 hour battery included! With a 9 Inch widescreen, the picture jumps out at you. The slim design lets you to take it just about anywhere you go. Plus, you can jump into a movie right out of the box - just plug in the included stereo earphones, pop in a DVD and press play. This portable DVD player is great for long rides in the car or plane trips. Sylvania's SDVD9020 9 Inch portable DVD player packs a big punch with a large screen, versatile playing options at a low price! Includes both Home and Car power adapters. First, I want to say I really liked the protective packaging. It was very well protected during the delivery process. Like the other portable DVD players I first plugged it in to completely charge before turning it on. I inserted a kids DVD and checked the image, screen and sound. Wow! Awesome. For a really affordable dvd player this one won me over. Even if it is a hokey blue color. It's lightweight and cheap feeling like all of them tend to be but it played well. It has the swivel screen option which I don't love for a 3 1/2 year old but if it's handled by me, propped in the car or otherwise not really handled by him, he might stay oblivious to that fact for a while. Sound was good even without ear buds. I was using the Monsters, Inc dvd on this test and the colors, sound, images were great. In the end I still wish I could have ordered it in basic black (and I could have if I waited for Walmart to restock black or bought this one off Amazon like I did the other 3) but I'm very happy with it. I took weeks to research and ordered with a bit of trepidation but in the end I'm happy with all 4. Ranking them, I like the 2 UEME's best, followed by the Sylvania and then the Magnovox.